As a wild, naturally occurring hybrid between cross-leaved heath (Erica tetralix) and Cornish heath (Erica vagans), this is apparently endemic to the Lizard Peninsula, Cornwall (see Heathers 4: 45–56. 2007). 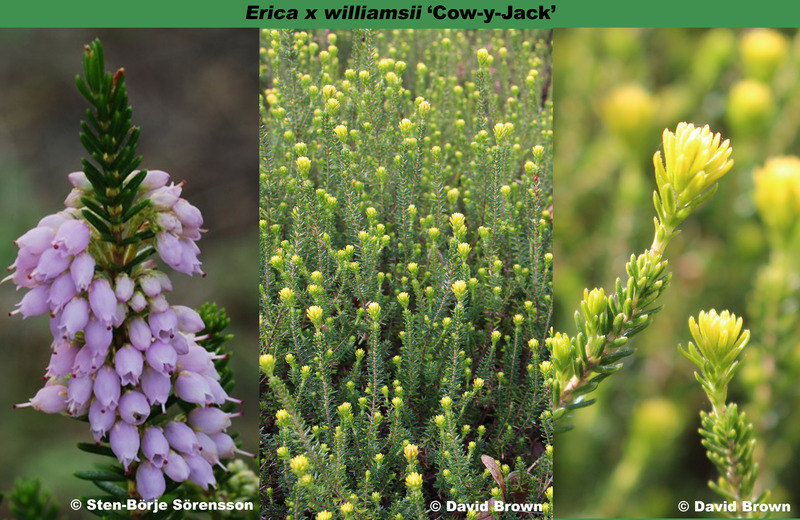 However, Erica × williamsii could also exist in France and Spain where the parent species co-exist. Williams's heath, named after P. D. Williams, has also be created artificially, and clones of both wild and garden origin are available. They will grow on most alkaline soils, and all exhibit, some more than others, coloured shoots in spring. 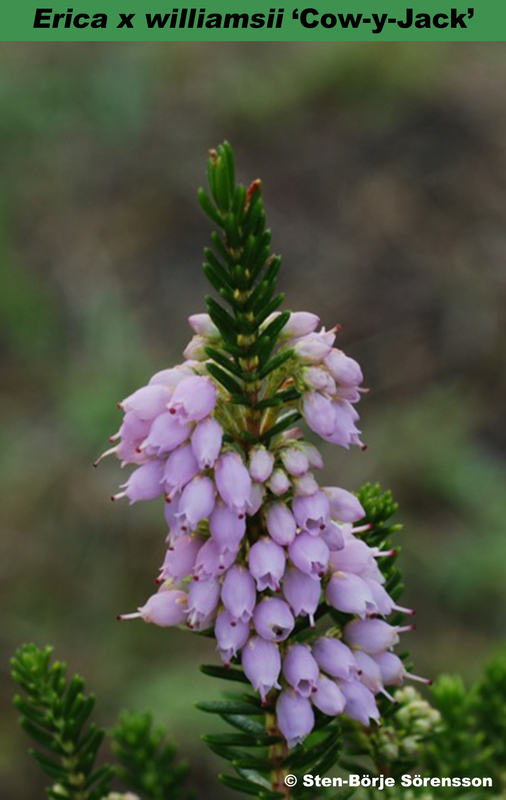 Erica x williamsii 'Cow-y-Jack' was ound at Cow-y-Jack near Coverack on the Lizard Peninsula, Cornwall by Andrew Byfield, 18 August 1984; propagated and introduced by Denbeigh Heather Nurseries. By far the best clone of Williams's heath for coloured spring shoots. See image here. Habit: Open spreading; height 21–25cm; spread 31–45cm.